This past Friday, Bobby, Emily, and I traveled to Kentucky to celebrate his aunt's 85th birthday. His sister also drove his mother down from Ohio, so she too could share in her sister's mile stone. It started out as a lovely weekend. Bobby's cousin put us up, his aunt was pleasantly surprised at all the unexpected guests, and his cousin went all out cooking us a fabulous dinner. Saturday was to be the bigger party with family and friends, but part way through the day, my mother-in-law had a stroke. Thankfully, the Good Lord had a plan, and my sister-in-law noticed right away and took her to the emergency room. Bobby, who had been on his way home from a car show with his cousin's husband, were able to meet them at the hospital, and the rest of us showed up shortly after sending the party guests home. As we sat in the waiting room, I prayed that the Lord would have mercy on us and not take Emily's only remaining grandparent home. Finally, after what seemed like an infinitely long time, they told us that it had been a mild stroke, and she was already recovering. And wouldn't you know that when we arrived home and I checked my book pile for something to review, I found a beautiful book titled The Marvelous Mustard Seed which described how God's Kingdom is like a tiny mustard seed that is barely noticeable at first but with a little watering turns into a huge mustard tree that is unable to be missed. So as I sit here thinking about God's plan for us, I can see that the small and unnoticeable fact that my mother-in-law decided to travel, a woman who hasn't traveled to see her sister in over three years because of other health issues and would normally have been sitting home alone on a Saturday, was put in motion by him. Because she chose to make the trip, she was with family who helped her get immediate attention, and she is still here with us! P. S. We did manage to still celebrate with Bobby's Aunt even though it turned out to be just family. For all you mothers out there who know the ups and downs, joys and sorrows, and roller coaster ride of motherhood, I salute you. Emily turned thirteen this year and it has involved lots of time spent in her room, eye rolls, and, "whatevers." In addition, it has involved offers to help around the house, thank-yous for taking her to a multitude of parties and events, and "mom I need a hug" comments. She has also started to show a maturity formerly not shown, so I have been able to leave her at home to work on her school work by herself. I have also been able to get her to do work on the evenings and weekends without complaint. This past weekend was such an occasion. I left her with instruction to work on history and health, while I attended the SCBWI Ohio North Conference, so that she can forgo a day of school next Friday when we travel to Kentucky to celebrate her Great Aunt Zella's 85th birthday. The conference was fantastic, I attended wonderfully informative sessions, caught up with friends, and left rejuvenated and ready to go back to the laundry, household chores, and my beautiful, funny, complicated teen. So when it came time to grab the last book in my reading pile this week, I had to smile. Why? 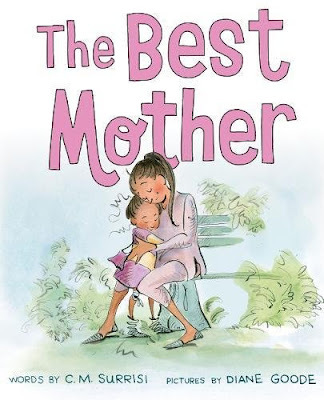 Because it was a book titled The Best Mother. The Best Mother is a tale of a girl who is unhappy with the mother she has and wishes to find a new mother that will give her own way all of the time. She believes she will find this new mother at either the park, the toy store, or the zoo. She questions many mothers only to find in the end that her old mother is really the best mother for her. And you know what? I know that I am the best mother for Emily. I was not put on this earth to make her happy. I was put on this earth to teach her right from wrong, to teach her about faith, to help her build her self esteem, to know she is loved, to expand her mind, to think for herself, to keep her safe, to learn how to make good choices, and so much more. And one day when she is a kind, compassionate, intelligent, productive part of society, she too will know I was the best mother. This past week was a busy one, but we got a lot accomplished at the Stewart house. I spent two days canning peaches for winter and Christmas gifts, we worked hard on school work, and Bobby placed the last piece of trim in our basement remodel. After the flood of '07, our finished basement had to be torn out and a water proof system put in. For one reason or another, it took us eleven years to get it put back together, but now it's done except for carpet on the stairs. You can't imagine my joy at finally being able to put out my beloved book mementos. Books by friends, items from book fairs attended, and other assorted bric-a-brac. I also read two fun books. 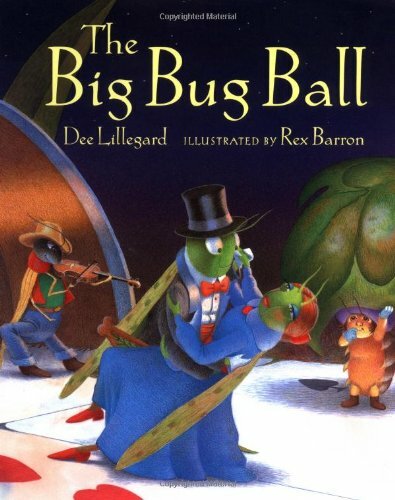 The first book, The Big Bug Ball, is quite old, but worth checking to see if your library has a copy. Told in imple rhyme, it is the story of bugs of every kind and the big dance they attend. The poor little sow bug is nervous about the event because she can't dance, but in the end, all turns out well. If your library doesn't have a coy, but you'd like to add it to your own collection, you might find a used copy on Amazon. The second book I read just came out this year and while sparse on words, it is big on fun. 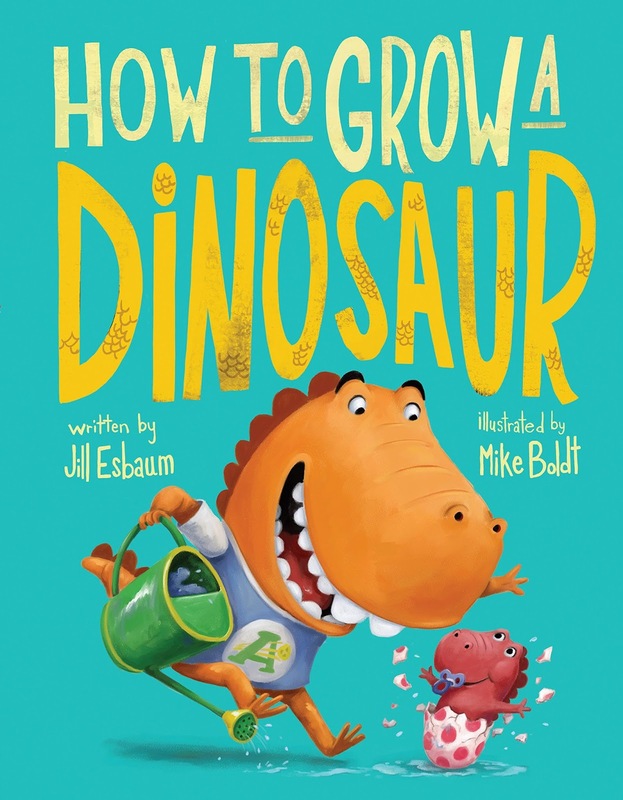 How to Grow a Dinosaur is a perfect book for youngsters with a new sibling on the way. It explains how important the role of older brother or sister is and how an older is crucial to raising or growing a good younger. Hey everyone. I hope this holiday Monday finds you all well. Over the past weekend Emily and I wrapped up the Farmers' Market Season with a vendors' picnic. We had enough food to feed an army and lots of fun. Besides providing the hot dogs and buns, I took orzo salad and Water Gate salad. For those of you who have never heard of Water Gate salad, it is a beautiful and light dessert which is quick and easy to make. In a large bowl mix whipped topping and dry pudding mix. Once the pudding is thoroughly mixed in, add both cans of pineapple juice and all. Lastly, stir in marshmallows and nuts. The mix will be a little thin but once it is chilled for an hour or two it will thicken back up and have the consistency of mousse. Emily and I also have a solid week of home schooling behind us now, and it went well. She is loving Spanish which we are doing online through Duolingo. I assign her 75 points of homework a day, but she is going above and beyond and doing 100 plus points. For a child not usually self motivated, this is a wonderful thing. And I wrapped the week up with two books perfect for back to school. The first was Sounds All Around a 1st level Science Let's Read Aloud Book. 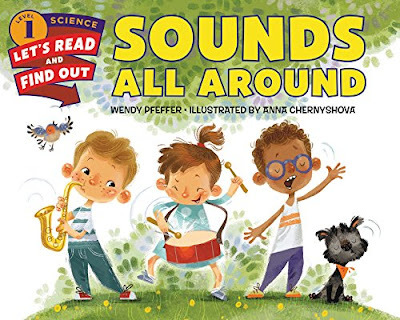 The books is wonderful right from the start with fun end papers worth looking at for more than a second, to the highlighted vocabulary words describing sounds and the body parts we use to create those sounds and those used to hear those sounds, illustrations that help carry the story along, and fun activities to wrap things up. 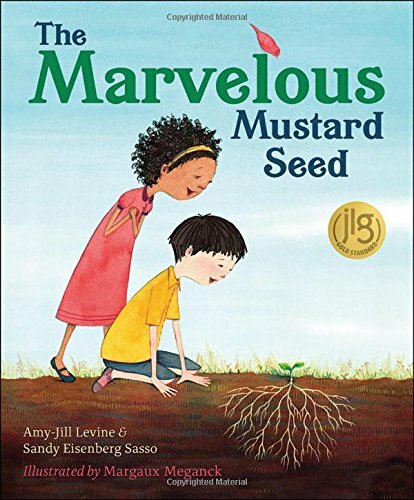 While good for any child, this book would be especially nice for young home schoolers. 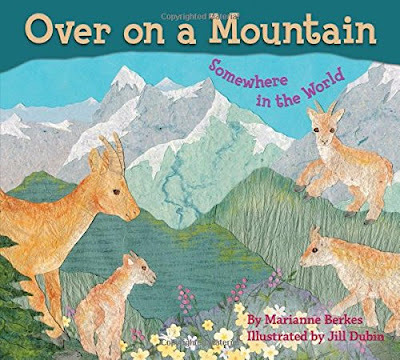 The second book I read was Over On A Mountain Somewhere in the World which takes the reader through each continent. Pay special attention to the illustrations by Jill Dubin who created these wonderful works of art from textured papers. This story involves counting and the story can be sung to the tune of "Over in the Meadow" which makes it a perfect book for pre-schoolers.